The plant is a vigorous grower and has a rapidly-developing taproot. It The tree can grow 12 m tall wide-spreading with gracefully drooping branches, with short sharp thorns. The tree is evergreen. The leaves are alternate, 2.5-6 cm long. On the upper surface, they are very glossy, dark-green, with very fine teeth on the margins.The 5-petalled flowers are yellow, tiny, in 2's or 3's in the leaf axils. 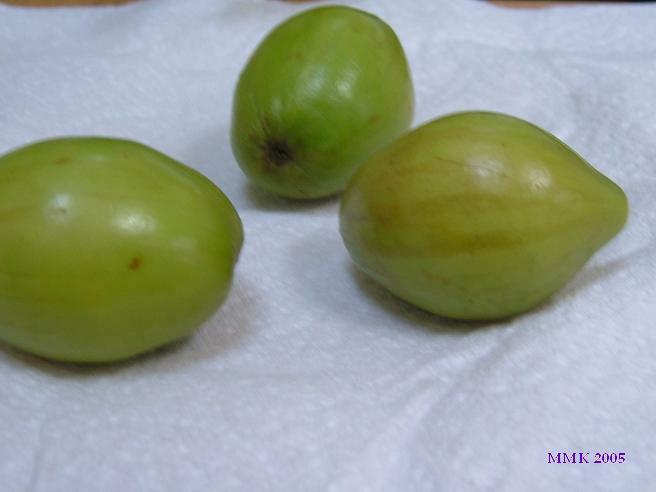 The fruit is 2 - 6 cm long and can be oval, obovate, round or oblong. The skin is smooth, glossy and thin but tough, it turns from light-green to yellow to red-brown as it ripens. 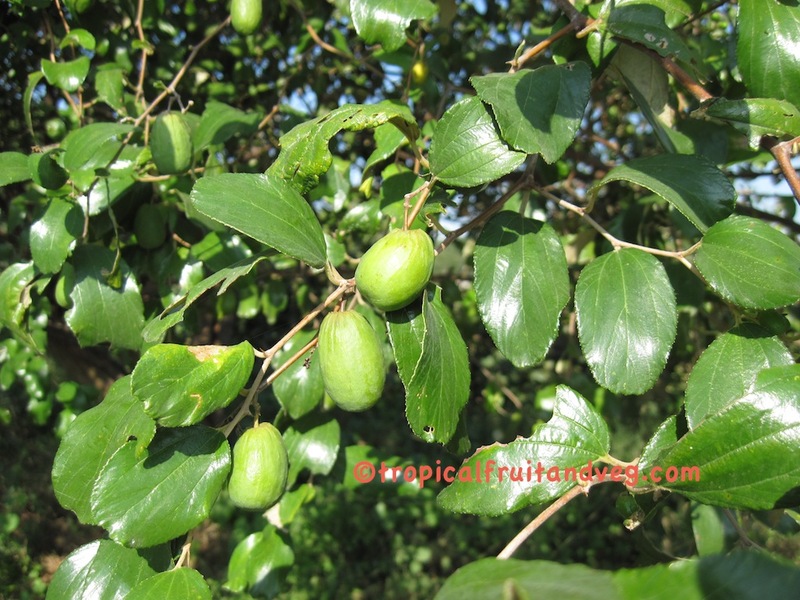 When slightly underripe, the flesh is white, crisp, juicy and acidy sweet and a little astringent. 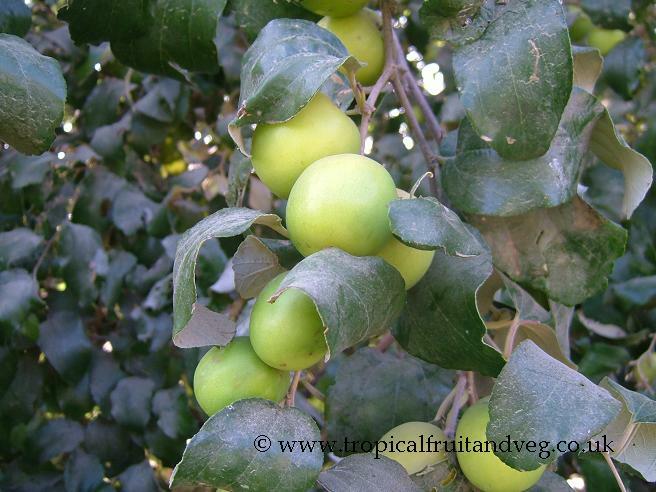 Fully ripe fruits are less crisp, overripe fruits are wrinkled, the flesh buff-coloured, soft, spongy and musky. At first the aroma is apple like and pleasant but it becomes musky as the fruit ages. The seed is a hard, rough, oval stone at the centre of the fruit. 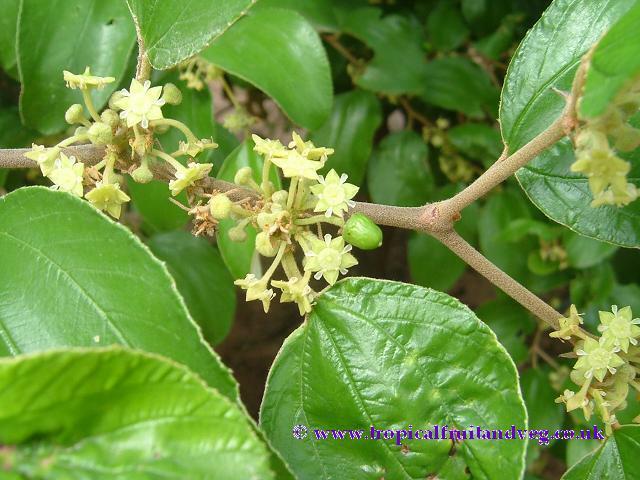 The fruits are applied on cuts and ulcers, are employed in pulmonary ailments and fevers and mixed with salt and chili peppers, are given in indigestion and biliousness. The dried ripe fruit is a mild laxative. The seeds are sedative and are taken, sometimes with buttermilk, to halt nausea, vomiting and abdominal pains in pregnancy. Young trees may be frozen to the ground but will recover. Mature trees have withstood occasional short periods of freezing temperatures without damage. 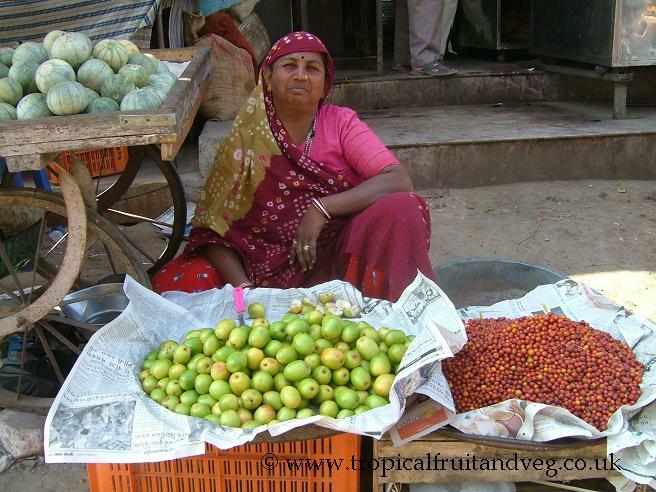 In India, the minimum shade temperature for survival is 7� C. The tree requires a fairly dry climate. For high fruit production, the tree needs full sun. The tree does best on sandy loam, neutral or slightly alkaline. It also grows well on laterite, medium black soils with good drainage, or sandy, gravelly, alluvial soil of dry river-beds where it is vigorously spontaneous. Even moderately saline soils are tolerated. 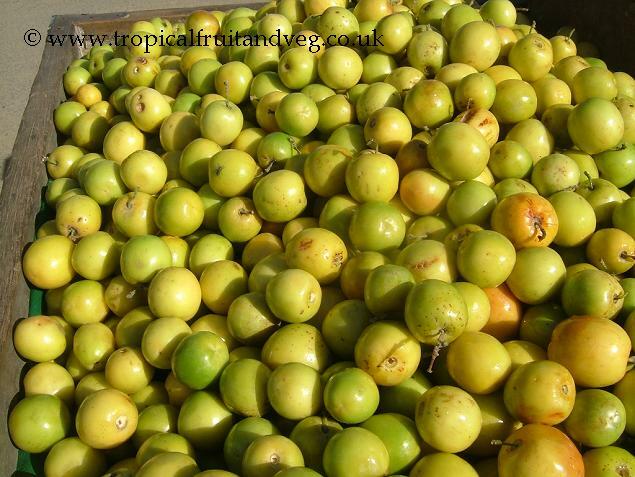 The Indian jujube is widely grown from seeds, which may remain viable for 2 1/2 years but the rate of germination declines with age. 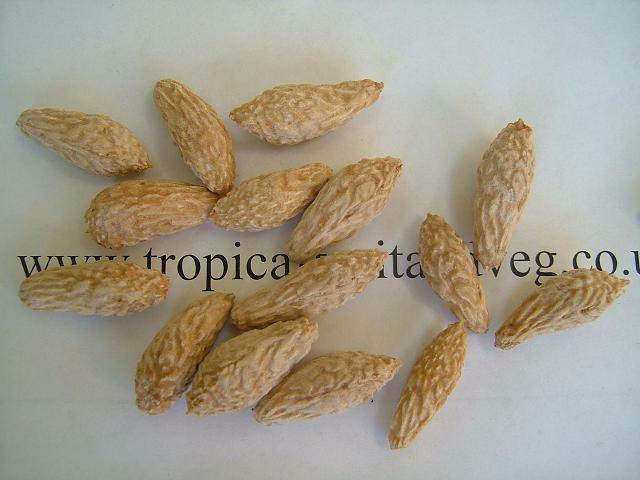 Superior selections are grafted or budded onto seedlings of wild types.